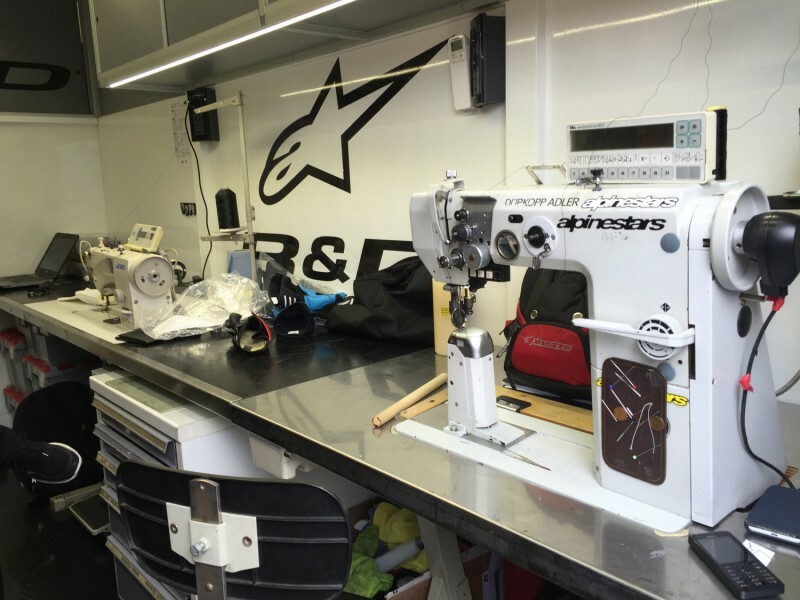 While people are eating and meeting in Alpinestars’ popular MotoGP hospitality a team of five technicians are constantly toiling away in workshop area behind the food and refreshments. 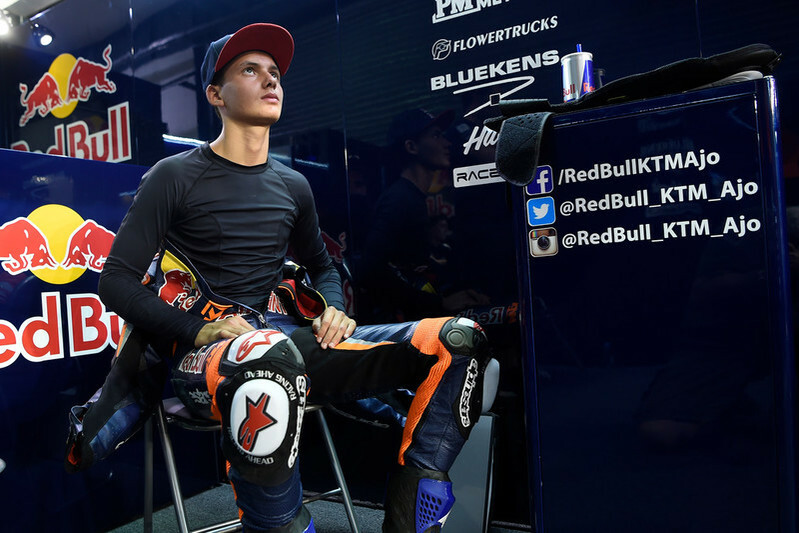 Among the racing technicians is new recruit William Mitham – part of the crew that looks after the Grand Prix riders, including Moto3 rookie Bo Bendsneyder – work and repair a raft of leather suits, boots and technical products that help keep racers in the saddle and out of the medical center. After entering MotoGP at the end of the 1990s with their first suits (Carlos Checa was the original racer to use more than just Alpinestars’ renowned boots) the multi-national firm now have a large cross-section of the grid and are famed for the quality and commitment of their racing support service; that also doubles as a mobile R&D unit. “Bo is a taller athlete so the material needs to be longer and larger and that includes the back and chest protectors and under-suits and socks,” he adds. 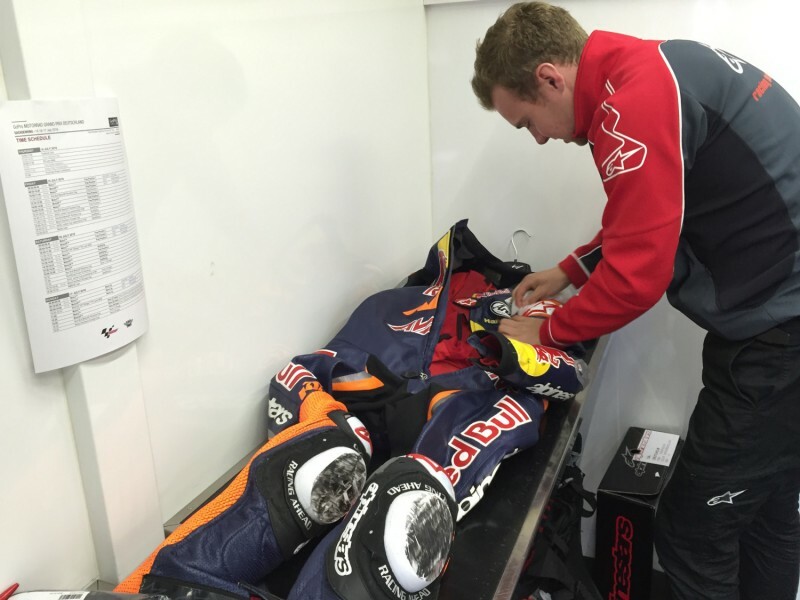 As well as the suit Alpinestars are also working on the rider’s airbag system that is now reaching a third generation. 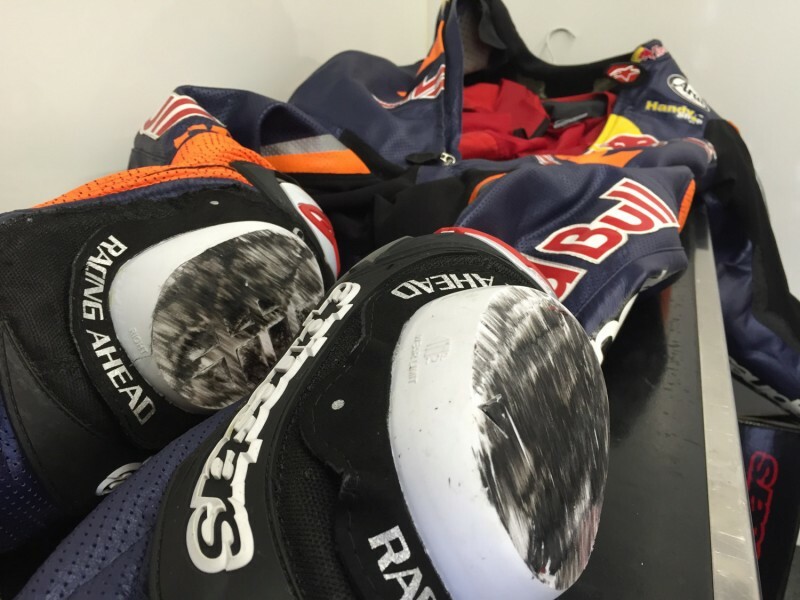 The Tech-Air system provides full body protection thanks to a complex set of algorithms, software and sensors that react instantaneously in the event of a rider suffering the initial phases of a crash. The evolution and maintenance of the software in MotoGP is another part of Alpinestars’ remit and commitment to the sport and the material is now also available to customers.